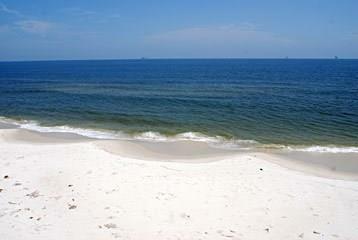 Dauphin Islands newest gulf front beauty with 155 front feet on the sparkling Gulf of Mexico. Recently completed, fully furnished and professionally decorated! 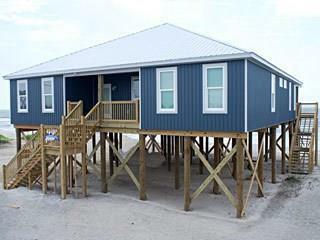 Two water front master bedrooms! 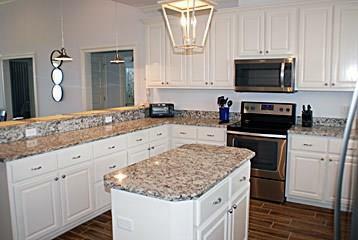 Gorgeous kitchen with granite tops and stainless appliances. Unique fixtures throughout! Already producing fabulous rental income for 2018! 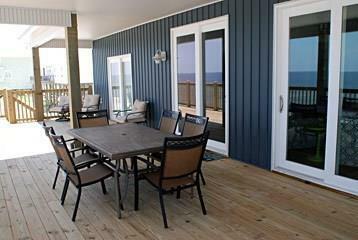 Panoramic views of sunrise to the East with nothing to block your view! Projected rental income for 2018 is $90,000.00. Booking fast! Call me or your favorite agent to view this gem located in the "Sunset Capital of Alabama". Take advantage of our Sunset Concert Series on the beach, Deep Sea Fishing Rodeo and the largest sailboat regatta in the world in April. Everyday is a holiday on this unique barrier island that is a designated bird sanctuary!!! Listing courtesy of Priscilla P Hawkins of Prissy Hawkins Real Estate.